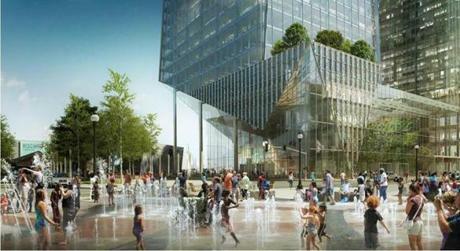 A rendering showing a view of the new Harbor Towers buildings from the harbor. 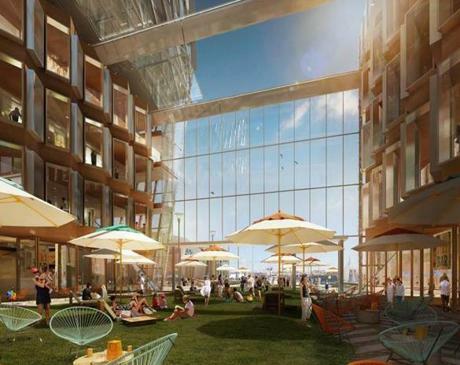 The new buildings are at the center of the rendering, to the right of the existing Harbor Towers buildings. 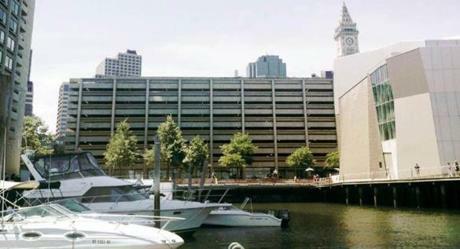 Developer Donald J. Chiofaro is reviving his effort to build a pair of skyscrapers along Boston Harbor. 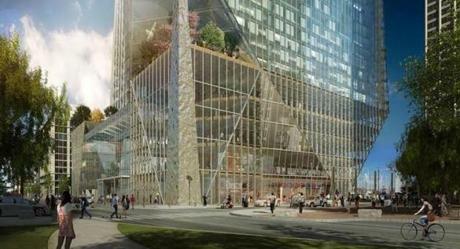 The $1 billion plan calls for construction of an office building, an adjacent hotel and condominium tower that would redefine the downtown skyline. 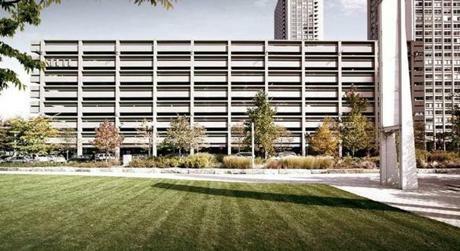 The concrete Harbor Garage would be demolished and its 1,400 parking spaces moved underground. 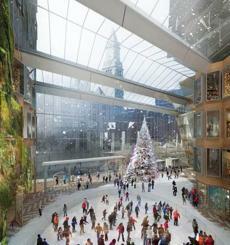 A retractable roof would allow for lush landscaping and open air festivals in summer, and ice skating in winter. A look at the current site from Boston Harbor. A view of the redevelopment concept from the same location. 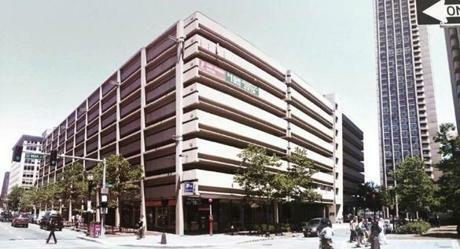 Here’s the existing Harbor Garage from Atlantic Avenue and East India Row. 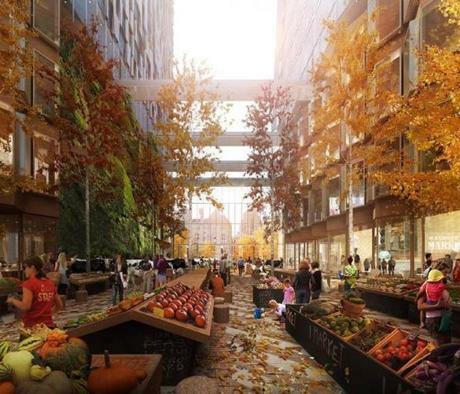 And here is the redevelopment concept from Atlantic Avenue and East India Row. 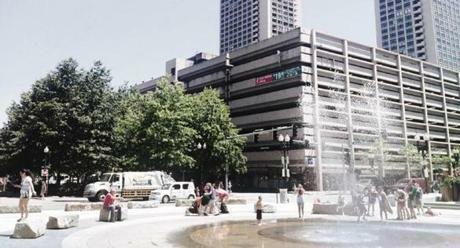 The current rings fountain outside Harbor Garage. Chiofaro’s plan from the fountain’s location. A view of the project from the Greenway. 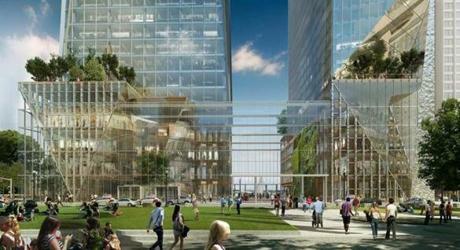 The look of the redevelopment concept from the Greenway. 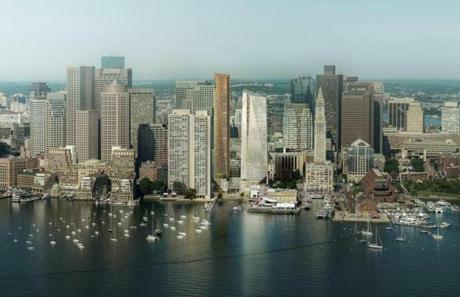 In 2010, Chiofaro unveiled plans for a pair of angular towers reaching 470 feet and 615 feet.